Many websites open pop-up windows to show adverts and other messages. While many of them are used for legitimate purposes (for example, banking sites use pop-ups for login screens and to provide warnings), some may be used for malicious purposes like injecting rootkits, keyloggers and other malware. Other pop-ups can just be plain annoying adverts. Comodo IceDragon blocks pop-up windows by default. 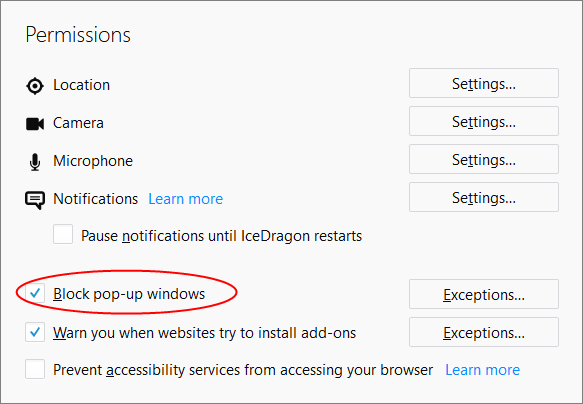 You can configure IceDragon to allow or block pop-ups as you wish and can add exceptions so that pop-ups from selected websites are always allowed. When a website tries to open a pop-up, IceDragon shows a message telling you that the pop-up was blocked. The site will be added to the list of websites which are allowed to show pop-ups. 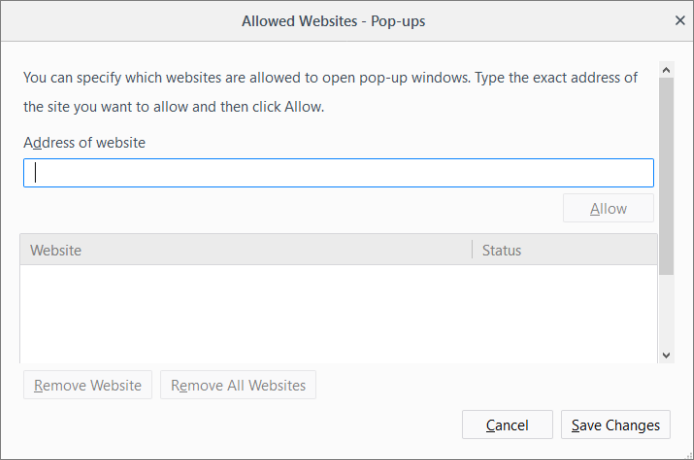 All the pop-up windows opened by this website will be allowed regardless of your setting in 'Block pop-up windows' check box.